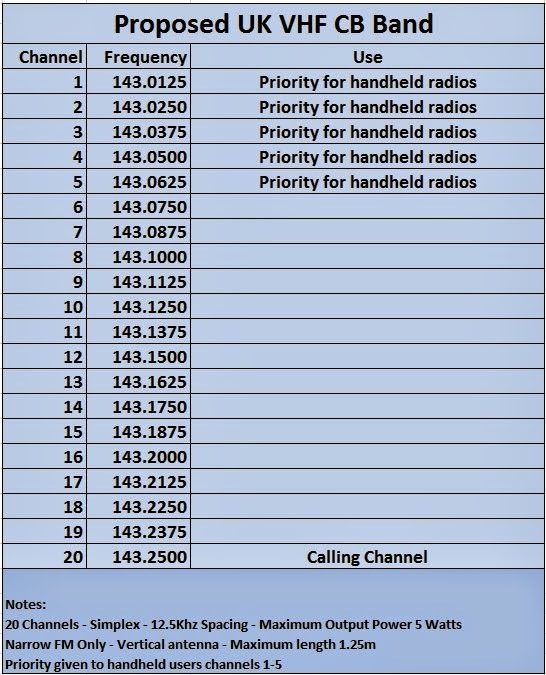 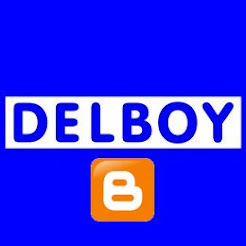 UK VHF CB - Where Could it Go? 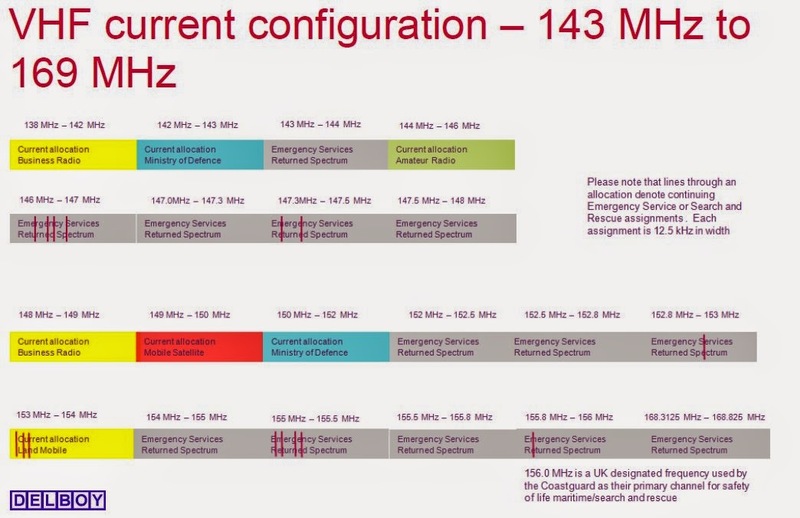 We could fit in up to 20 channels (12.5Khz spacing) between 147.0 and 147.3Mhz or the same somewhere between 147.5 and 148Mhz or 152.0 and 155Mhz or 155.5 and 155.8Mhz ot 168.3 and 168.8Mhz! 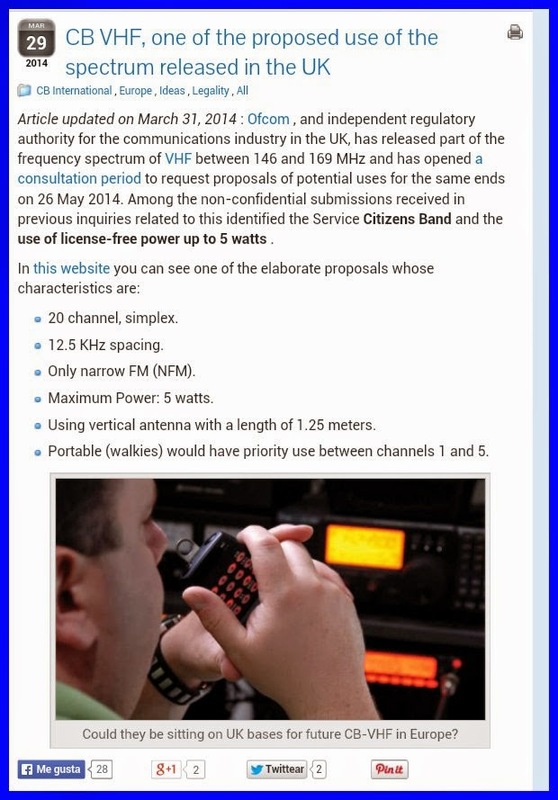 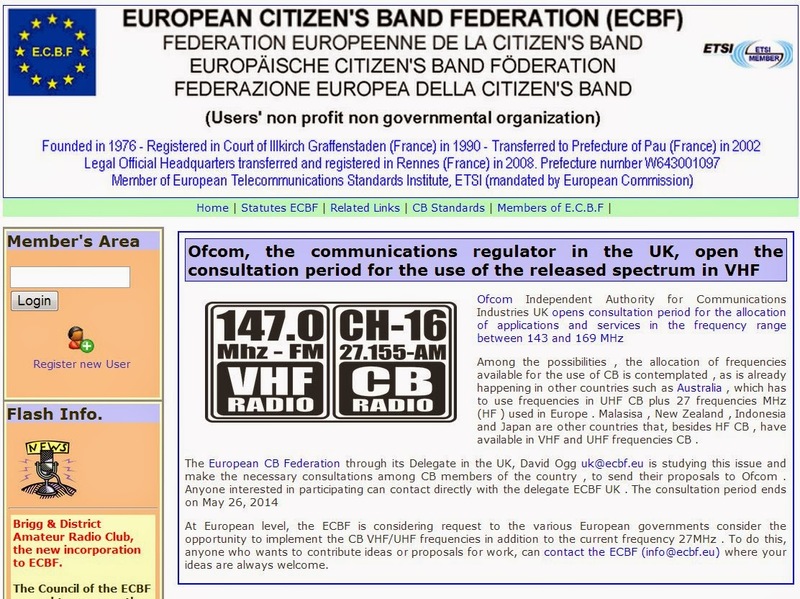 They would like to see a European VHF CB System introduced!